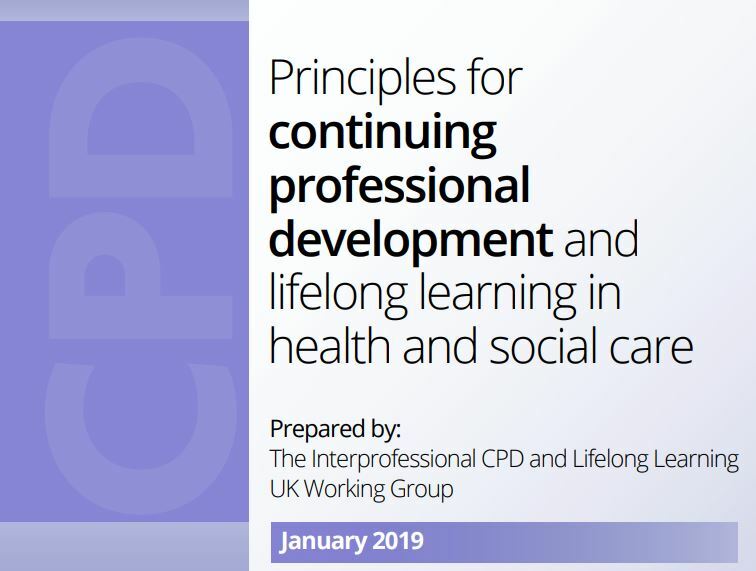 A working group comprising organisations from across a range of health and social care sectors has launched a set of principles for continuing professional development (CPD) and lifelong learning. The principles are designed to guide individuals, employers and wider systems to create a culture of continuous improvement, workforce development and improve outcomes for service users. People working in the health and social care workforce operate in a changing, challenging and complex environment. Practicing safely and effectively, now and in the future is essential. 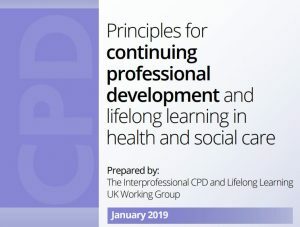 The Interprofessional CPD and Lifelong Learning UK Working Group is made up of: Allied Health Professions Federation Scotland, Association of Clinical Scientists, British Association of Art Therapists, British Association of Music Therapy, British and Irish Orthoptic Society, British Dietetic Association, Chartered Society of Physiotherapy, College of Operating Department Practitioners, College of Paramedics, Institute of Biomedical Science, Royal College of Nursing, Royal College of Occupational Therapists, Royal Pharmaceutical Society, The British Association of Prosthetists and Orthotists, The British Psychological Society, The Royal College of Midwives, The Royal College of Speech and Language Therapists, The Society and College of Radiographers, UNISON and Unite the union.